I am working as a Multitask writer in The writers online Company and also performing editing and publications duties as well. Writing Columns and articles related to celebrities, products, showrooms cars, and stories is my main source of earning nowadays. Working with this organization and getting great experience in writing. I have written the blog articles for this blog and many other. 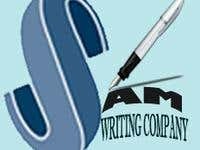 Know each and every technique related SEO and blog writing..
Competition in which writers from all departments of our organization take part. All analytical, writing, technical English skills were checked in this competition. I was the winner of this competition.